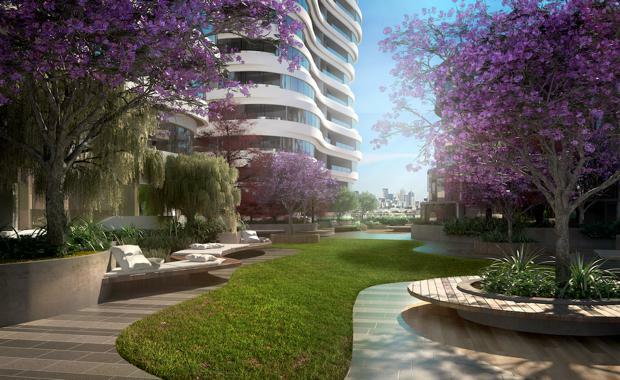 Melbourne’s inner west is set to undergo further renewal with plans in place by local developer Growland for a largely residential project overlooking the Maribyrnong River. The 1000-unit apartment complex at 8 Hopkins Street Footscray, named Joseph Place, will be the closest western development site to the CBD and is expected to attract further development to the area following the government’s move to shift state agencies to the suburb in a bid to boost its economic base. Growland is planning a series of six buildings with potential for a hotel, 4000 square metres of retail and public spaces. The precinct will house Melbourne’s first Olympic-sized elevated running track, plus a theatre and rock climbing wall. Growland CEO, architect Stephen Yau said Footscray is currently undergoing the same transformation Richmond underwent years ago. “Footscray is in the midst of a demographic shift – attracting a new wave of students, young professionals and working families who are looking to reside in a well-connected community with easy access to transport services, state of the art retail, dining and leisure facilities on their doorstep,” Mr. Yau said. “The inner west has been recognised as one of Melbourne’s most undervalued opportunities and is due for rapid growth over the next to to five years. "The future growth potential of Footscray is huge and construction on Joseph Place signals a renaissance in the area,” he said.